Erbil, Kurdistan Region, Iraq (cabinet.gov.krd) – Kurdistan Region Prime Minister, Nechirvan Barzani yesterday received Germany’s new Consul General to Kurdistan Region, Marc Eichhorn. Mr. Eichhorn discussed the relations between Germany and Kurdistan Region, stressing that his country is committed to assist Kurdistan Region in all the fields, particularly in the war against the Islamic State terrorist organisation, ISIS, where Peshmerga forces have been able to achieve significant victories against the terrorist organisation, and protect the world from the terrorist threat. This was the reason, he said, behind the rare decision taken by German Government to send military assistance outside the country. Regarding the economic field, Mr. Eichhorn considered that the Kurdistan Region could become an appropriate place for investment in a near future. He stressed that the Consulate will inform German companies about Kurdistan Region investment opportunities and encourage them to invest in the Region. Prime Minister Barzani expressed his appreciation for Mr. Eichhorn’s visit, wishing him success in his new position. Prime Minister Barzani stressed on further strengthening of relations between Kurdistan Region and Germany. He expressed his gratitude to the German Government for its courageous decision of sending military assistance to Kurdistan Region, particularly some weapons that have shown great effectiveness in the fight against ISIS, that have shifted the balance of the war in favour of Peshmerga forces. The situation in Kurdistan Region and the relations between Kurdistan Regional Government, KRG, and the Federal Government of Iraq were also discussed in the meeting. In this regard, Prime Minister Barzani expressed his government’s readiness to send a delegation to Baghdad and discuss the possibilities of resolving the outstanding issues. Erbil, Kurdistan Region, Iraq (cabinet.gov.krd) – Kurdistan Region Prime Minister, Nechirvan Barzani, yesterday received UK Ambassador to Iraq Frank Baker, and his accompanying delegation. Ambassador Baker discussed the political and economic situation in Iraq, the terrorist threats, Iraqi Government plans to liberate those area that are still controlled by Islamic State terrorist organisation, ISIS, as well as the situation on the battlefront in Kurdistan Region. He also highlighted the meetings he held with Kurdish political parties. He stressed the necessity of resolving differences through dialogue and preserving the unity of ranks among political forces, particularly at the time when Kurdistan Region faces a tough war against ISIS. Ambassador Baker reiterated UK government’s support to Kurdistan Region in all the fields. Prime Minister Barzani stressed that the Kurdistan Regional Government, KRG, will continue its effort to resolve internal issues through dialogue and negotiations. He reiterated that the undesirable events happened recently in the Region had not affected the morale of Peshmerga forces in the battlefront against ISIS, reaffirming that Kurdistan Region priority is to fight the terrorists and settle its financial sever problem. Prime Minister Barzani expressed his gratitude to the UK government for the assistance it has offered to the Kurdistan Region in various fields. The situation in the Middle East in general, the economic situation in Kurdistan Region, and the relations between KRG and the Iraqi Federal Government were also discussed in the meeting. Tehran, Iran (cabinet.gov.krd) – On the sidelines of the Munich Security Conference, MSC, held in Tehran on Saturday, Prime Minister Nechirvan Barzani held meetings with senior Iranian and European officials. These meetings included German Foreign Minister Frank-Walter Steinmeier, Iran Foreign Minister Mohammad Javad Zarif, Iran Parliament Speaker Ali Larijani, Iran First Vice-President Eshaq Jahangiri, and the Secretary of Iran Supreme National Security Council Ali Shamkhani. Views were exchanged on regional issues and developments. Prime Minister Barzani discussed the latest political developments and events in the Kurdistan Region, the Peshmergas’ fight against ISIS, and relations with the Federal Government of Iraq. In his meeting with Iran Foreign Minister Mohammad Zarif, Prime Minister Barzani praised the role he played in reaching the landmark nuclear deal between his country and the P5+1. He expressed his hope the agreement will help stabilise and develop bilateral relations between the Republic of Iran and the Kurdistan Region, particularly in the economic field. In his meeting with German Foreign Minister Frank-Walter Steinmeier, Prime Minster Barzani expressed his appreciation to the people and the Government of Germany for their military assistance to the Peshmerga forces which has significantly helped them in the war against ISIS. Prime Minister Barzani also conveyed the desire of his government to continue holding talks with the Iraqi Federal Government with the view to resolve outstanding issues. 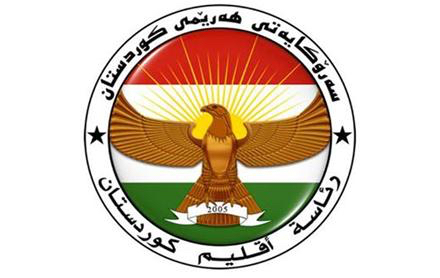 Kurdistan Region, stressing that the Region values its relations with the Islamic Republic of Iran. The Speaker said that as the Kurdistan Region is peaceful and secure, tensions and unrest must be avoided. He stressed that Iran will continue its support to the Region. In his meeting with First Vice-President Eshaq Jahangiri, recent events were discussed, including the public demonstrations that turned into violence in some towns of Suleimaniya Governorate. Vice-President Jahangiri stressed that political unity is necessary for maintaining stability and security. Prime Minister Barzani reaffirmed the value of the support of the Islamic Republic of Iran. They also discussed strengthening economic relations. The Secretary of the Iran Supreme National Security Council Ali Shamkhani reiterated the continuation of Iranian support to the Kurdistan Region in its war against terrorism. He stressed that the Kurdistan Region’s stability and security is important to Iran. This is why, he said, that unity among the Kurdistan Region’s political forces is necessary. Prime Minister Barzani expressed his gratitude for Iranian support and briefed Mr. Shamkhani about the recent developments on the frontline between the Kurdistan Peshmerga forces and ISIS. He expressed his hope that Iranian and other international assistance would help eradicate the ISIS threat. Prime Minister Barzani visited Tehran to attend the Munich Security Conference, MSC, that began on Saturday in Tehran. It was co-hosted with the Institute for Political and International Studies, and held in cooperation with the Governments of Germany and the Islamic Republic of Iran. It was held as part of the MSC Core Group Meeting Series and focused on the implementation of the agreement reached recently on the Iranian nuclear programme, security related issues in the Middle East, as well as economic and energy policies. In the campaign against ISIS terrorists, the Kurdistan Peshmerga have been a main force in the fight against this organization on the ground, and they have been able to secure major victories against them. In this campaign, the Kurdistan Region is a key partner in the US-led international coalition in Iraq. 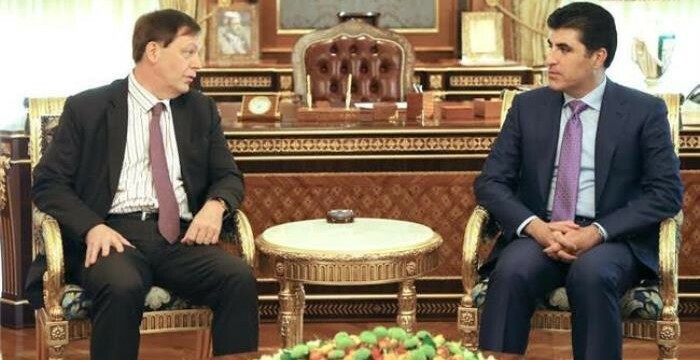 The Kurdistan Region is grateful to any country or side that is prepared to assist the Peshmerga in the fight against ISIS, and it would welcome Russian assistance. Global efforts to defeat ISIS terrorists would be more effective if there is cooperation and coordination between the US-led international coalition and Russia. Erbil, Kurdistan Region, Iraq (cabinet.gov.krd) – On the sideline of the consecration ceremony of His Holiness Patriarch Gawergis Sliwa, the new Patriarch of the Assyrian Church of the East, Kurdistan Region Prime Minister, Nechirvan Barzani responded to questions from journalists pertaining to the current situation. 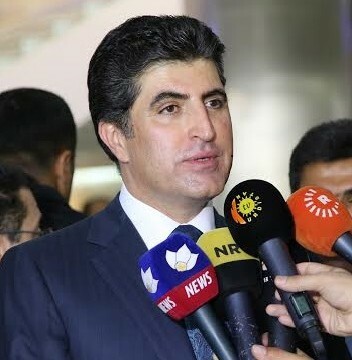 Commenting on the oil issue, Prime Minister Barzani said, “the sole route of exporting the Kurdistan Region’s oil to the international market is through Turkey, and if the pipeline is sabotaged or damaged, it would cause significant losses for the Region.” He called upon those responsible to cease their destructive actions, saying the pipeline is the main source of the Kurdistan Region’s livelihood. Prime Minister Barzani reaffirmed that in the meetings with Turkish officials, the KRG has asked for further security tightening of the Kurdistan-Ceyhan pipeline. Answering a question about the four parties’ proposal to elect the Region’s President either by the parliament or by the people’s direct vote, Prime Minister Barzani said that the proposal is not coherent, as the parties suggest that the president, when elected by the people’s direct vote, must hold less power than when he is elected by the parliament, while it should be the opposite. He expressed his hope that political parties will adopt a realistic approach and that the next meeting on 6 October 2015 will bring a resolution in the interest of the people of the Kurdistan Region. Regarding institutional reforms, Prime Minister Barzani said that since the formation of the eighth cabinet, the KRG has undertaken reform tasks at KRG ministries and institutions. He reiterated that reform efforts must continue.